finally found my fall jacket! A parka with leather sleeves... fantastically amazing! Are there 2 different versions of this jacket??? Oh damn...i fell in love! Ugh, leather sleeves are so great. Coats like this have been on the market for quite some time now. But it took me until now to really appreciate this mix of fabrics. Want that jacket! can't wait to see the whole outfit! 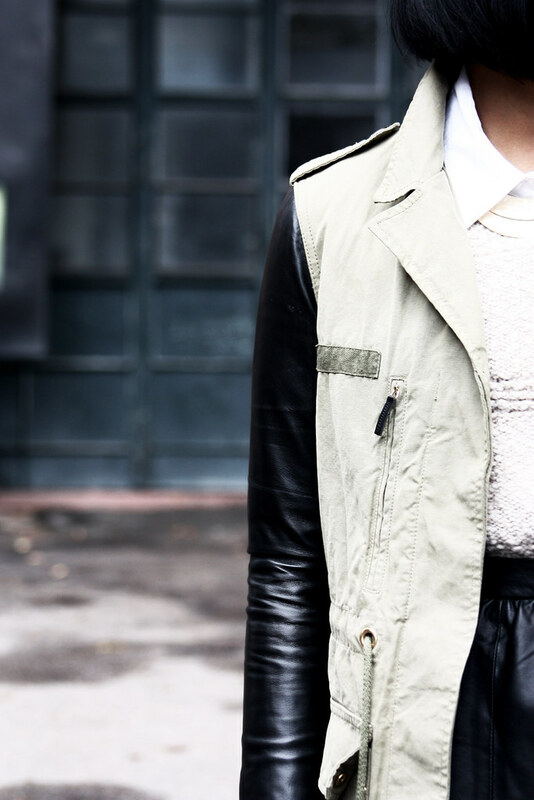 Love the leather detail of the sleeve!